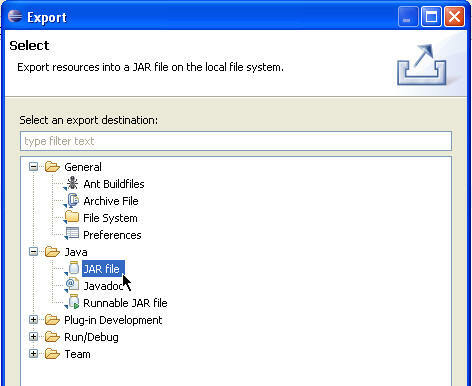 I got a .jar file which I need to import into Eclipse. However, I don't want to have the jar as a referenced library. I need the .jar to be included like a "normal" project, with packages(!) 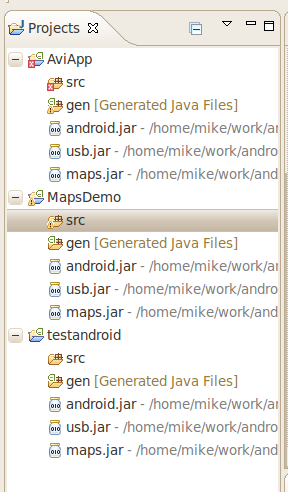 and .java files.... All you really need to do is add the JAR to the build path of your project. Eclipse will then let you browse through the classes in the jar and view all public fields and methods. Eclipse will then let you browse through the classes in the jar and view all public fields and methods. 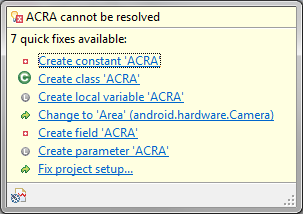 I got a .jar file which I need to import into Eclipse. However, I don't want to have the jar as a referenced library. I need the .jar to be included like a "normal" project, with packages(!) and .java files. Hello, Does anybody know how a .jar file (for exemple a jdbc driver) could be added to the project? I will give an exemple. I want to use jdbc driver that is .jar file. All you really need to do is add the JAR to the build path of your project. Eclipse will then let you browse through the classes in the jar and view all public fields and methods. Eclipse will then let you browse through the classes in the jar and view all public fields and methods.